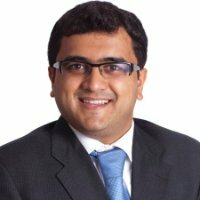 Shwetank is a start-up specialist. His focus is on bringing new concepts to market and setting them up to scale by combining the concepts of design thinking and lean entrepreneurship. He enjoys the creative challenge of creating new ventures, business models and products. He is the Innovation Director at Metlife LumenLab. He is currently the project lead for VRRAL and also supports the team on digital health and startup outreach and evaluation. Shwetank has been an entrepreneur and investor. As an entrepreneur, he led MyHealthMate, a chain of primary care clinics to exit. As an investor, he was previously part of the incubation and investment team at Richard Chandler Corporation, a Singapore-based multi-billion dollar private investment firm. Reporting directly to the head of the team and responsible for new venture creation and for developing and executing Richard Chandler Corporation’s early stage investment strategy in emerging markets, with a particular focus on India. He led the incubation of Rumi Kids, a chain of preschools. Prior to that he managed the incubation of Razi Healthcare, a chain of primary care clinics (now Viva Healthcare),India. As interim COO of Razi he led the initial expansion and was responsible for day to day management across all functions.